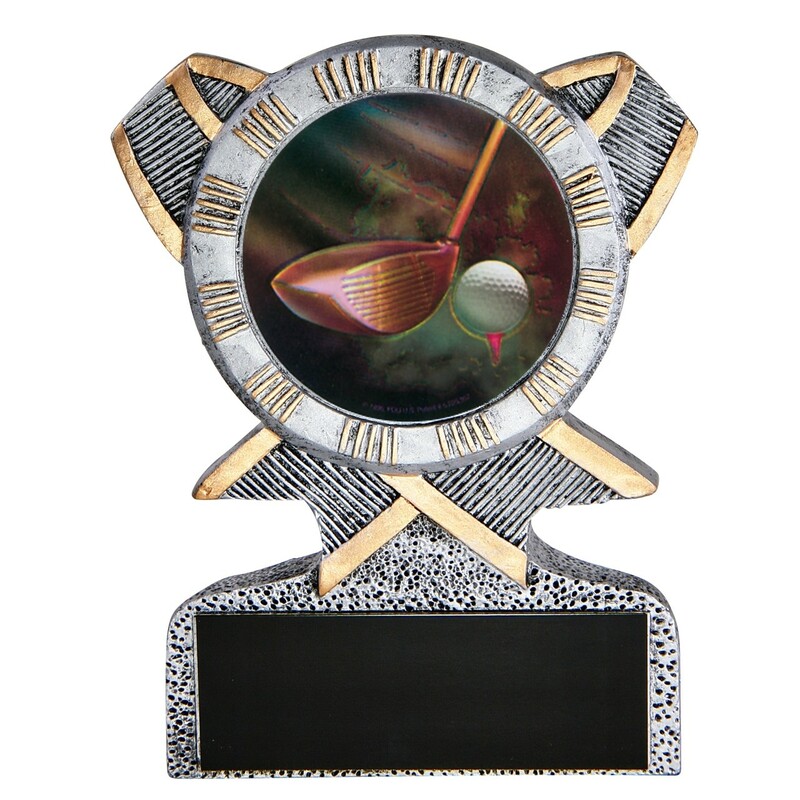 Designed to resemble cast pewter with gold highlights, theDriver Impact Golf Resin Award features a full-color image of a golf club driver head cued to hit a golf ball on a tee. This picture is framed in a circle and set within a crossed-ribbon. Choose these little gems for your winning foursome!